Are you looking for the list of Virtual Credit Card (VCC) Providers ? I've listed here 10 popular VCC providers that can help you to transact your money securely. You can find many VCC providers on the internet but all of those are not trusted, but these VCC providers are very popular and used by thousands of internet users everyday. VCC (Virtual Credit Card) is also called as Prepaid credit card. Virtual credit card helps you to load fund to your VCC account for secure online transaction. 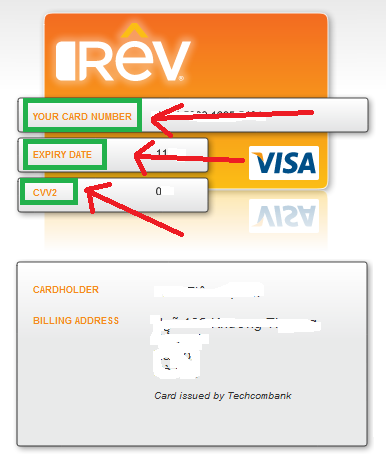 It could be very helpful for those, who don't have credit cards. Most of online transactions require credit card and if you don't have a credit card, you cannot purchase something from online shopping sites or eCommerce websites . If you are an Indian, you will need a credit card to buy hosting space, pay advertising fees etc. For example- if you have to advertise your product on Facebook through FB ads, you need a credit card but if you don't have , you can create a Virtual Credit Card. VCC is one of the safest ways to pay money online. In this article I have written about some popular Virtual Credit Card Providers, you can try any of these for secure online transactions. Entropay (http://www.entropay.com/) - Entropay is one of the best VCC providers that can help you to create your Virtual Credit Card free of cost. 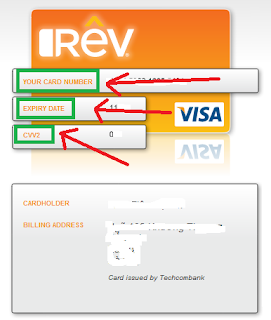 You can create your card by verifying your address and card information. Entropay charge small fee in each transaction. You can load fund from your bank account to your Entropay VCC. Netletter VCC (http://www.neteller.com/personal/get-a-prepaid-card/) - Netletter is one of the best alternative to PayPal that also offers prepaid Mastercard that can be used as VCC for secure online transactions. Netletter takes small fees on transactions. You can create Netletter prepaid card free of cost by joining the site. Netspend (https://www.netspend.com/) - Netspend is one of the best prepaid card providers for US residents. Netspend provides processing and marketing services for prepaid mastercard and Visa debit cards. Payoneer (http://www.payoneer.com/) - Payoneer is one of the most popular payment processors for Global Payment. Payoneer offers prepaid mastercards that can be used as Virtual credit card to pay money to thousands of websites. Payoneer charge small fee to users. Payoneer allows users to create set up free accounts to receive and send money to global sites. American Express (https://www.americanexpress.com/) - One of the most popular banking services that can also help you to create your prepaid and virtual credit cards easily. You can use American Express cards to pay money to hosting websites, online shopping companies and other international websites. Bankfreedom (http://www.bankfreedom.com/) - Although this site is not very popular but very useful in online transactions. Bankfreedom offers many useful features that can help you to handle your business easily. Great for individuals and small business owners. AccountNow (http://www.accountnow.com/) - AccountNow is one of the best alternatives to a checking account. AccountNow offers Prepaid credit cards and prepaid visa debit card. You can also use AccountNow cards in many useful purposes such as online shopping, money transfer etc. Kotak Netc@rd (http://www.kotak.com/bank/personal-banking/cards/netcard.html) - Kotak Netc@rd is one of the best options for Indians to open prepaid credit cards for online transactions. You have to create an account in Kotak Mahindra Bank before you use Netc@rd. HDFC VCC (http://www.hdfcbank.com/) - HDFC bank also offers virtual credit cards to HDFC users. HDFC offers netsafe cards for all HDFC bank Visa and Mastercard Debit and Creditcard holders free of cost. One of the safest ways to transfer your money online. 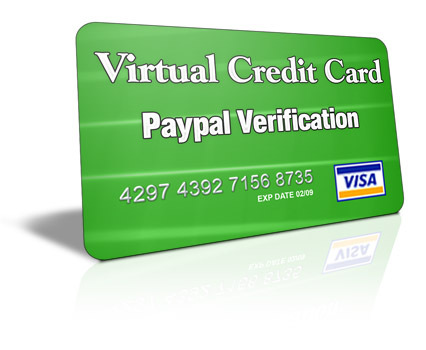 VCC means Virtual Credit Card, it can only be used online for sale and purchase. Q. Where can i use this VCC? You can use it om online stores like walmart, ebay, amazon etc. You can also use it to make your paypal account or payza account verified. Q. What is the billing address of my VCC? There is no billing address for the VCC. You can put any address, as a billing address. If you still have any questions, you can post them below. I am always here for your help. Please share this post with your friends to help them. If you are still confused and still have more questions to ask, kindky comment below and i shall reply you ASAP. 2 Responses to "List of Top 10 Best Virtual Credit Card (VCC) Providers"